Today, some people see Nihangs as a relic, but others recognise them as a colourful and important part of the Punjabi heritage. 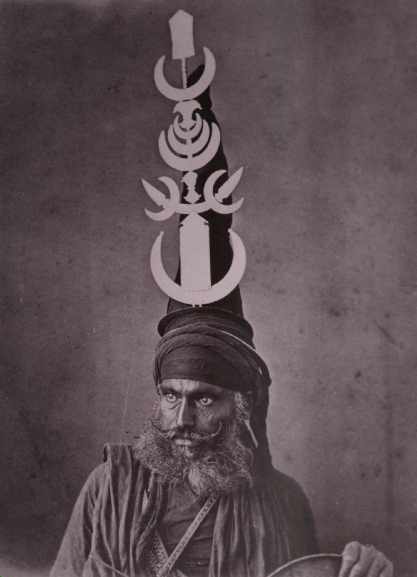 Gurbir Singh Brar, a photo artist also feels that there is no colourful subject as compared to Nihangs. Nihangs belong to a martial tradition started by the 10th Guru, Guru Gobind Singh. A photo exhibition by Brar under the theme “The Valiant Ones” was inaugurated today at Dr MS Randhawa Art Gallery, PAU. Their way of life, style of dress, and weaponry has not changed much over the centuries and this was what capitulated Brar to spend five months with Nihangs around Punjab. During this period, he lived with them, learnt their way of living and captured them in his camera. Brar is all praise to the sense of discipline that prevails among Nihangs. “They are very hospitable and are strict when it comes to disciple. Watching their practice session was the thing I enjoyed most during my five months stay with them all over Punjab,” adds Brar. Brar said they are a semi-nomadic people and are organised into armies and live in camps known as cantonments. 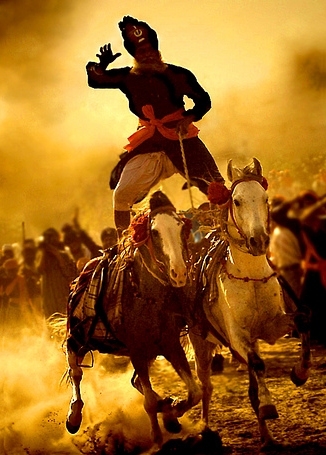 Men and women both train in horsemanship, swordsmanship, and in the Punjabi martial art known as ‘gatka’. During times of persecution in the past, the Nihangs defended Sikh shrines and the Sikh way of life and become known for their bravery against all odds. In times of peace, they travel to festivals and fairs throughout India, staging displays of horsemanship and martial skills. The annual Hola Mohalla fair held at Anandpur Sahib on Baisakhi is especially notable for the Nihangs' colourful displays of pageantry. 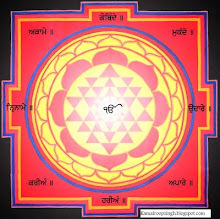 Brar has also formed an organisation “Sava Lakh Foundation” with the help of Nihangs. With the active involvement of Akal College Council Gursagar Mastuana Sahib and ace horseman Maghar Singh, a training programme in traditional horsemanship and martial arts has been initiated at Mastuana Sahib. “In today's competitive world, Sava Lakh Foundation exhorts the younger generation to live up to the ideals of the Gurus. The endeavour is to instil pride and enthusiasm in the present day youth, a youth morbidly impressed by the wrong influences and drawn towards drugs and wallowing in mediocrity,” he adds.